I was recently approached by their marketing team to see if I’d be interested in helping out. And given my life was about to take an increased workload, I thought that this assistance would help us both. So, in keeping with the whole “open myself to serendipity”, I gave them a shot. 7:30pm on Sunday night after finishing a two day intensive OH&S training, I was completely exhausted. Feeling even more exhausted and the sense of some sniffling and throat tickling starting, I thought perhaps now would be a good time to test out the whole digital food delivery system and free myself to cook lunch and organise the working week’s clothes. The Menulog system isn’t hard to navigate and is very user-friendly to both digital natives and the newly acquainted. You choose by suburb, then by cuisine/price/speed/offers. Word to the wise, go for the one with speed and then overall great ratings (the closer to 10, the better it is). I’m currently testing this method and so far, it’s one for one! 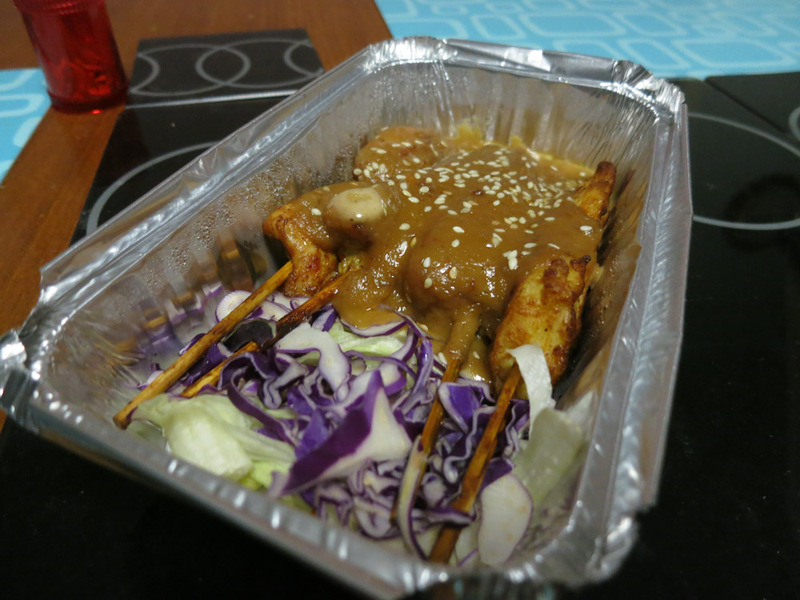 I’m currently going through a Thai food phase (thanks Pok Pok) and chose to get the satay chicken skewers (4 pieces), (fried) Peanut Sauce with Beef with medium spice and Pad Khee Mao with Beef (noodles) from Chilli and Basil Thai Restaurant from 24 Station Street, Bayswater. From choosing the menu, to the options (the longest part) and going through to checkout – it took all of 12-15 minutes. It would have been faster if I knew exactly but I wanted but ah well. At 8:06pm, the order was through and I was sent an SMS from the restaurant confirming my order and that delivery would occur at 9:06pm. I was surprised, but from reading the reviews, I knew that they actually come earlier than they mention. 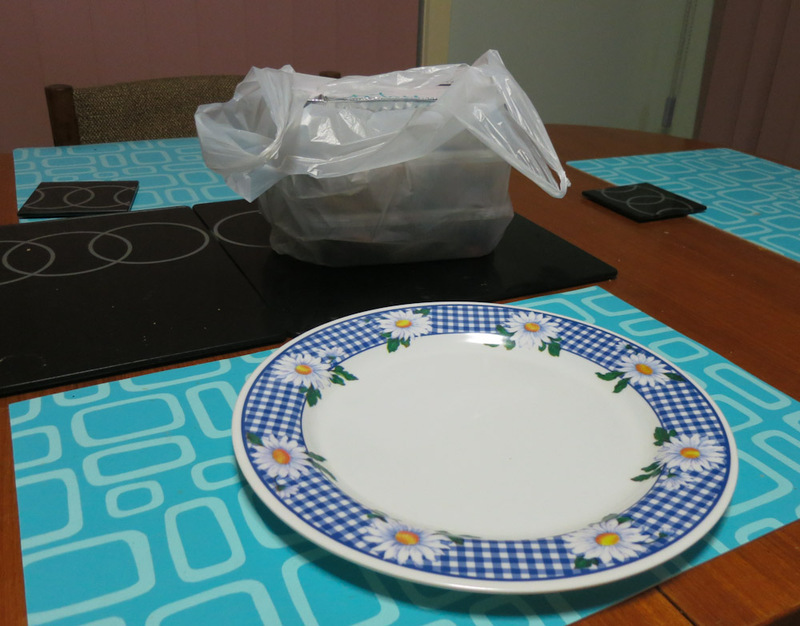 3 business shirts, and Monday’s lunch cooked – my door bell rang at 8:45pm. 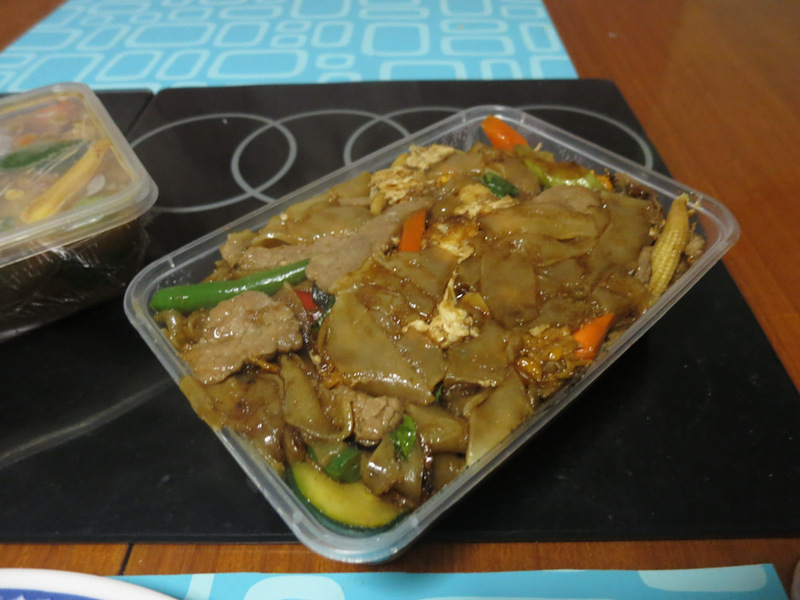 And there was the delivery guy – happy to see me and hand over my food. 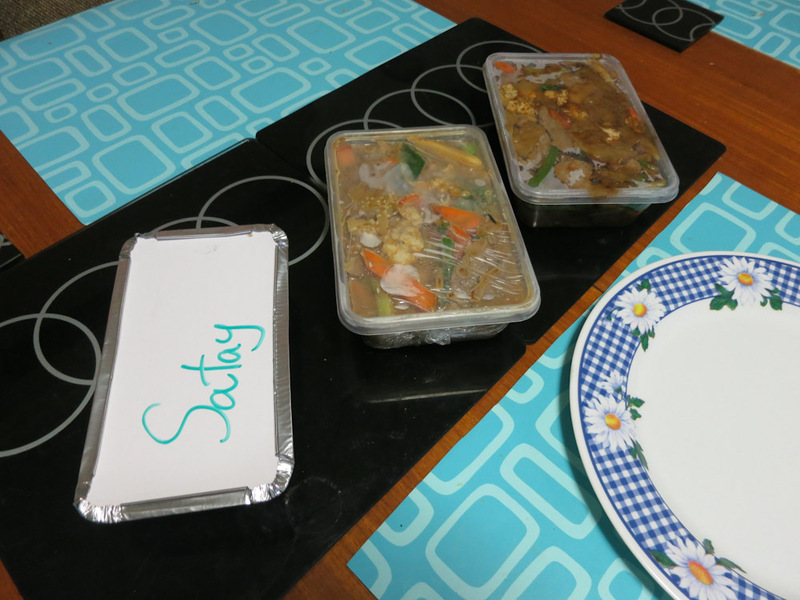 He was kind, courteous and friendly – a massive step up from the local pizza delivery service I’ve had in the past when organising food for big parties. That glad wrapping really helped keep the food intact. 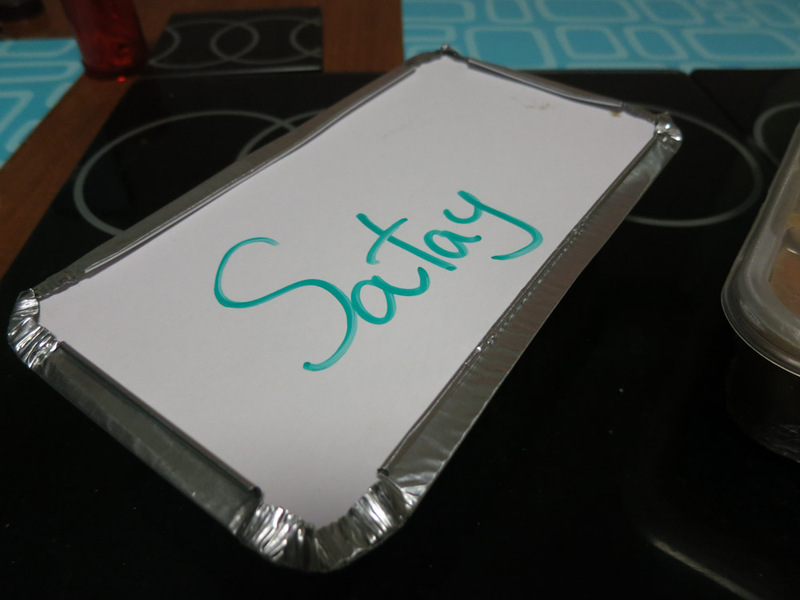 And now, this is where the kicker came in – the food was immaculately wrapped. 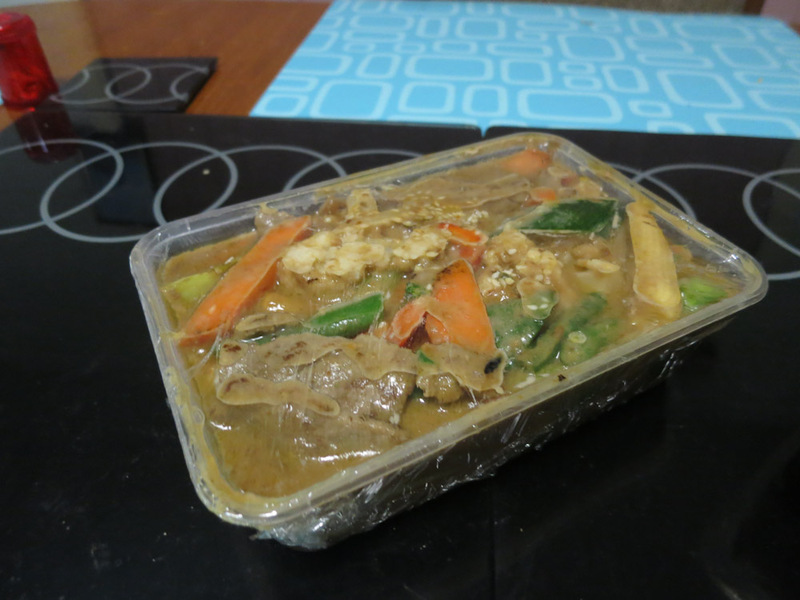 The curry actually had a glad wrap to ensure the liquid stayed inside the bowl. Mind BLOWN. Not only that, the quantaties were completely generous AND the food is one of the tastiest I have ever tasted. So much so, that now I want to go into the restaurant and eat the food and experience it’s ambience from there. And to be honest, I do believe that Menulog is the #1 for online takeaway. I have tried their competition and not had as much success like my friends have had. Ah well. And even though this post was to assist us both, I would have no qualms in using their system with or without the assistance. Give them a go, when you don’t really feel like going out.